This post contains a prayer calendar to help parents pray intentional prayers for their children. 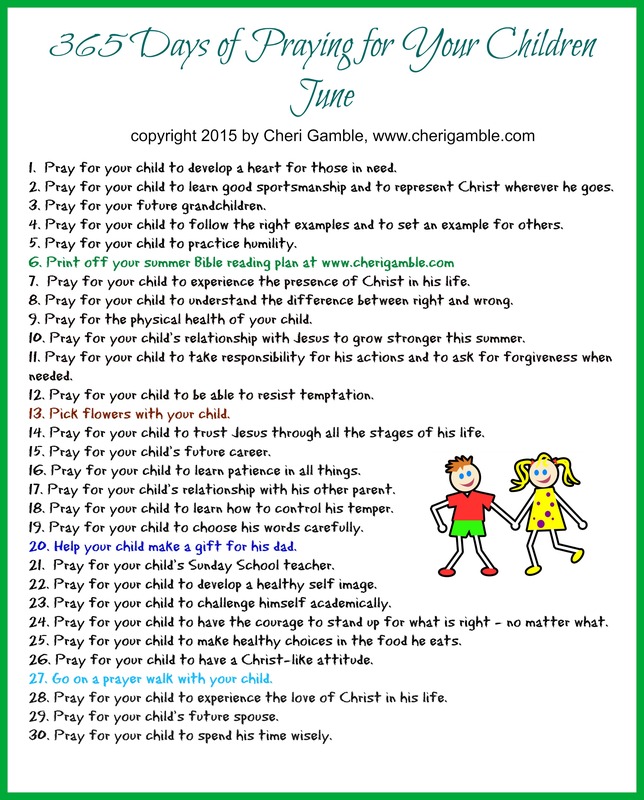 Each day of the month has a corresponding idea of how to pray for your child or grandchild (or the child next door). 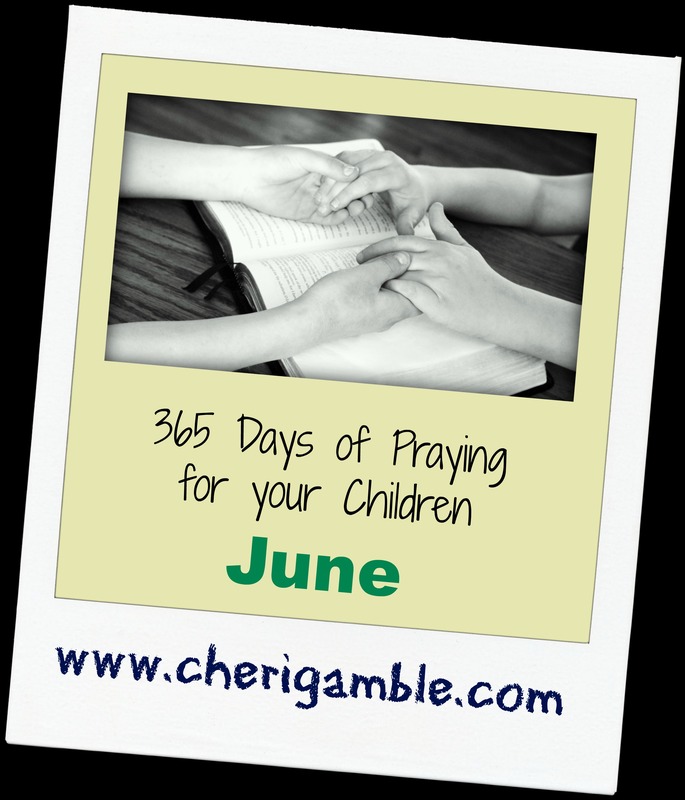 All the calendars together add up to 365 days of intentional and focused prayers for your child! Have a great summer and Keep praying for your kids!